A major part of the Christmas season, when I was young, was the Christmas program. Taking place at churches, schools, civic events, or the office these programs offer children, and adults, the chance to perform before their parents and their peers and to spread the joy of Christmas. I was probably four or five years old when I participated in my first Christmas program. It took place in the church my family attended. We attended a small country church. The only decoration I remember is the large Christmas tree set up in the front of the church. All the children participated in order of the age of their Sunday school class. Weeks before the program the children were given pieces, lines of poetry or Bible verses, to memorize. The length of the piece varied by the age of the child, the younger the child the smaller the piece to memorize. When put all together the pieces told the Christmas story or contained a Christmas message. Some classes would sing Christmas carols as well. After the program was over presents were given out. There weren’t very many, but every child went home with something. 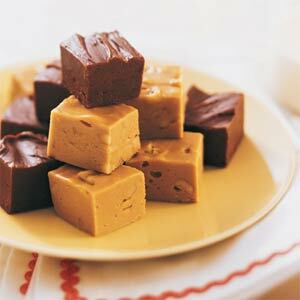 Everyone, adult and child, received a small box filled with candies, cookies, and, my favorite, fudge. It was a very enjoyable night for children and adults. My family was attending a larger church which ran a private K-12 school by the time I was a teenager. This church did not have a program put on by the children in their Sunday school classes. Instead the church choir performed a cantata. Sometimes these cantatas told a Christmas story entirely in song; other times the story was told with song and drama. As a member of the school’s choir I had the privilege of participating in a couple of these cantatas. For several years at my previous job I, along with the Christmas Luncheon Program committee, coordinated program for the office’s Christmas luncheon. We chose a theme and developed a short program. Then after eating a delicious lunch, we performed the program. The website http://www.customsofchristmas.com began as the program for one of these luncheons. My family loves fudge at Christmas time. This is a very easy recipe that everyone can enjoy. If you wish to do a different flavor than milk chocolate just change the flavor of baking chips you use. We like using milk chocolate, dark chocolate, and peanut butter chips. Butterscotch chip work well also. Spray a 9-inch pan (9×13 inch pan for thinner fudge) with non-stick cooking spray. Bring sugar, butter and evaporated milk to full rolling boil in 3-qt. saucepan on medium heat, stirring constantly. Cook 5 minutes stirring constantly. Remove from heat.